Addiction affects more than just the patient – it affects everyone around them, and particularly their families. That’s why it’s important to treat both the addict and his or her loved ones and address the ways the addiction has impacted each through supportive services for family members. Who Should Attend Family Counseling? First and foremost, parents should attend family support groups as they are often the most affected by the addicts behavior and struggle. Although the subject matter may seem difficult for children, when of a certain maturity level, they may be able to help the addicted person confront the denial of wreckage caused by their substance use. Significant others are often the most entrenched of the groups. Even if they are enablers or abusers themselves, if the one going to rehabilitation sees they have their loved ones support, they will feel more confident in their choices. Some friends are as close as family and should be included in supportive services. Who Conducts a Family Therapy Session? A licensed therapist usually conducts the family therapy sessions. Patients need to trust their therapist to be able to open up and talk about their issues. Parents, whether married or divorced, spouses, siblings, and even grandparents can attend these sessions, as usually they are tailored according to the specific family’s needs. Family therapy sessions have different approaches depending on the problem you are trying to solve. However, in most cases, the therapist will begin by observing everyone together. That way, they can hear everyone’s point of view, see how they interact with each other and understand what role each member plays. After getting a perspective on the most important topics, besides the main problem, she or he may spend time separately with each family member. One family’s dynamic will be completely different from another’s. Therefore, the duration of therapy often depends on their availability as well as the severity of the issues. As such, it can take up to a few years of therapy for some families to come to a resolution. 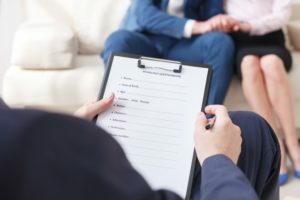 Typically, addiction treatment requires a complex, personalized plan, according to each person’s needs. Besides counseling and other behavioral therapies, medication is also an important part of the treatment, because it assists the detoxification stage, where the patient needs to get the substance out of their system. Patients can pay for their rehab treatment through insurance. If you don’t have insurance or sufficient funds to pay for the treatment, you can arrange a payment plan with the facility. Addiction is a complex illness that has a dramatic impact both on the user and their loved ones. More often than not, families don’t know how to respond to the addiction and make crucial mistakes that worsen the situation instead of helping it. Supportive services for the family can give both the addict and the family members the tools to learn how to communicate and help each other. One of our primary goals with families at Windward Way is to educate about the disease of addiction and provide everyone with ways to effectively communicate with their loved one. We know that as soon as clients return to their setting they came from, they will need to engage with their loved ones in a healthy manner. Our aim is to provide the foremost family related addiction treatment to reach long-term outcomes. We know your interests lie in a sustained long-term recovery for your child, spouse or loved one—you’ve already made huge strides by reaching out to our treatment center in the first place. Call us now at 855-491-7694. We can show you how our addiction treatment program doesn’t leave the family behind but welcomes them in. We invite you to discuss with the clinical team the options for visiting with your loved one while you’re in the area. Depending on the clinical assessment, passes will be planned to support spending time together. In addition, many families will be scheduled for a family session with your loved one and some members of his or her team. Call us now to explore how we can develop a recovery plan for you or for someone you love: 855-491-7694.